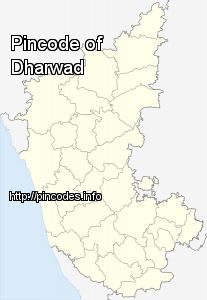 Dharwad is the district headquarters of Dharwad district in the state of Karnataka, India. It was merged with the city of Hubli in 1961 to form the twin cities of Hubli-Dharwad. It covers an area of 200.23�km² and is located 425�km northwest of Bengaluru, on NH 4, between Bengaluru and Pune. The word "Dharwad" means a place of rest in a long travel or a small habitation. For centuries, Dharwad acted as a gateway between the Malenaadu (western mountains) and the Bayalu seeme (plains) and it became a resting place for travellers. The name is derived from the Sanskrit word 'dwarawata', 'dwara' meaning "door" and 'wata' or 'wada' meaning "town". 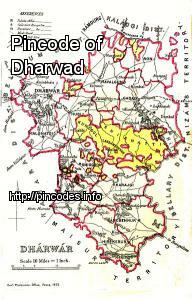 A different theory suggests that during the Vijayanagara rule of Dharwad there was a ruler by name "of Dharav" (1403), and Dharwad got its name from him. There are some inscriptions that refer to Dharwad as Kampana Sthana. Police said rescuers are working tirelessly to extricate people who are still feared trapped beneath the debris of the collapsed building.